Most of you think that custom-made shoes are expensive and out of your budget. Well, think again. World is full of artisans that can give you excellent product for a reasonable price. On of such artisans is Shoemakers that I will present in this article. At the end of 2012 when I was preparing materials for this site I joined Pinterest and became an avid pinner. One of the first pinners I started to follow was Brogues and Shoemakers. I visited their website at www.handmadebrogues.com and I was surprised with the beauty of their made to order shoes and with the prices for which you can order them. Since Modern Gentleman Magazine is proud to present and encourage hand making craftsmanship we are glad to write about such artisan like Shoemakers. 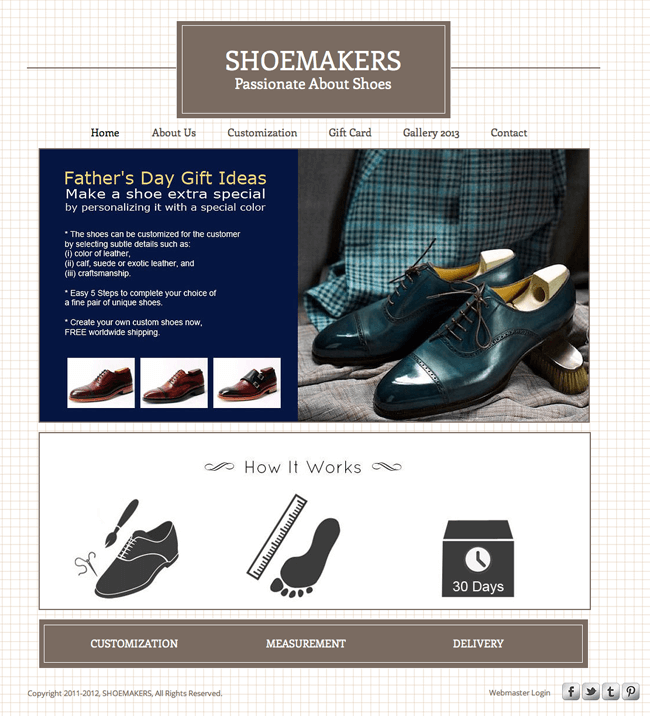 Shoemakers website design is not the prettiest I have seen but the main focus here is not the site itself but the shoes, and there are plenty shoes to look at. One thing that I would like to see is photographs of shoes from another angles. For example view from the top and view from a side. This is important for me when buying shoes since I care how they look from all sides, especially from the top since I don’t like pointy shoes. I must admit I never ordered any shoes online, except for the running sneakers. I was always skeptical about it. You never know if the numbers are right, if the shoe will fit, if the color of the product will be as stated, basically there were lots of things that were putting me of from ordering shoes over the internet. Well, when ordering from Shoemakers, there is almost nothing for you to worry about. The process of ordering the shoes is divided in 5 steps in which you complete your choice of unique shoes. You cannot go wrong with it. First thing that you choose is the style of the shoes you want. 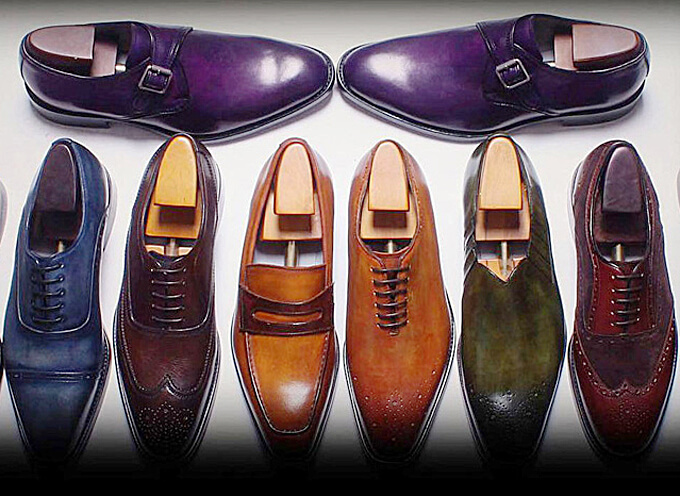 You can choose from oxfords, derbys, monks, loafers and boots. If you like to add a special touch to your shoes and make them more unique you can mix and match certain style details to make them even more personal. This sounds like a nice option but I would go with the classic shoe style. Second step is choice of materials. Calfskin and suede leather used in these handmade shoes are of the finest quality but if you want something more than a “plain” leather you can choose between several luxurious exotic leathers which are on the offer, and those are ostrich, snake, crocodile or some other unusual animal skin leather. This unique and textured appearance of exotic leather gives customer an option to make their shoes in a new and creative ways. 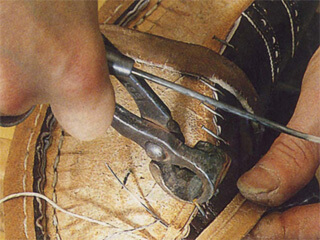 Shoemakers use Goodyear Welt construction method for durability and possible resoling. Third step is color selection. This step is the one that will make your shoes stand out. This is the distinctive feature and a sign of shoes uniqueness. Customer can specify the color of the finish, and Shoemakers have many delicious colors to choose from; olives, reds, bordeaux, cognac, aubergines. Shoemakers can provide their customers with the idea of hand coloring (patina) on the shoe to get those incredible natural looking dark and light hues. Special hand color finishing is done entirely by the hand. 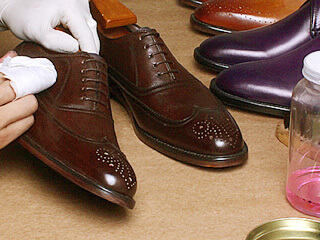 The burnishing and antiquing effects of Shoemaker craftsmen have evolved into a unique feel and distinctive look. Due to the extraordinary nature of the technique, no two pairs of shoes are exactly the same. How more unique can it get than this. Hand coloring (patina) process applied to get incredible natural looking hues. Fourth step in the made to order process is the choice of construction. 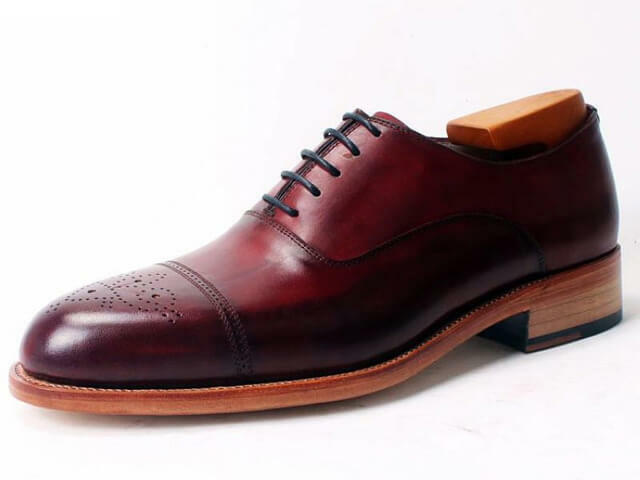 The shoes are constructed solidly with great attention to the details and crafted with the utmost care. 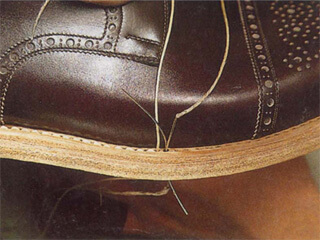 Shoemakers use Goodyear Welt construction method for durability and possible resoling. This is an Italian traditional craftsmanship, with more material, more complicated shoemaking process and longer process time. In additional, hand stitching of the upper, welt, medium sole and outsole, is put together by 18 strands of cotton twine to increase the firmness and add cushioning material inside to enhance the comfort. The soles of the shoes are nicely made, and held up very well with two separate stitching carefully made. There is 8 stages of production and each pair of shoes undergoes over 200 operations. This process takes about 30 days. It may sound like a marketing trick but it is not. Handmade shoemaking is a process that takes time and precision. There is no artisan in the world that would like to have its items returned because of poor construction, and they will do anything in their power to produce long-lasting quality product. Last step in the process of ordering made to order shoes is measuring your feet. On their website there are instructions on how to measure your feet. Although the instructions are clear I must say that they do not look nice and are biggest remark I have about their website. The drawings and type are below the standards of altogether nicely designed site but they are clear and you will have no trouble measuring your feet. The only confusion that you will have is in the step “6. Which Step Do you Have?”. I know mine step because I familiarized with these terms when I was buying my running shoes. The terms you are looking for are pronation and overpronation and what part of the foot touches the ground first. The toes, mid-foot or the heel. I think this should have been explained clearly so that customers can be certain what check box to click, because I am sure many of them do not know how they walk. When the offer is finalized Shoemakers takes your measurements and then customize the shoe to fit perfectly and comfortable enough to wear them often even on a daily basis, although I would recommend you against it. No shoes should be worn more than two days in a row. By taking care of them in this way shoes will last longer. Now for the best part of it all. You will be surprised by the prices of these shoes. The price range is from $179 – $288. In my opinion this is truly reasonable and affordable price for shoes of such a quality and craftsmanship. If you compare it with some mass market shoe manufacturers that produce their shoes on the machines in China for the same or even bigger amounts, than this is real bargain price. What is even better is that Shoemakers will ship the shoes for free, and this cost can be substantial. Shoemakers ship all over the world. All of the items will be securely wrapped, packaged and shipped in box for safe delivery after receiving the payment. Everything shipped out via Post Office by air to your front door. Then, they will send each buyer a Tracking Number which they can use to track their parcels. It normally takes 10 days to arrive. 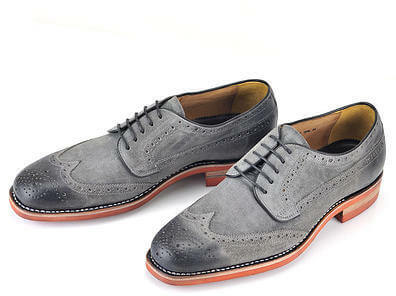 Featured offers section lists predesigned shoes, like these beautiful handcrafted suede wing derby brogues, at 30-50% discount prices starting from $155. If you don’t want made to order shoes you can check out their featured offers with already designed shoes that sell at 30-50% discount prices and you can get handmade shoes starting from $155. Handmade craftsmanship is something that is having a revival in later years and if you want to stand out from the crowd, handmade products are the way to go. Especially if you compare the prices of some brands that sell their shoes at higher prices just to justify their marketing costs. These brands sell products that are not unique and most of them definitely don’t offer the quality for the price you pay for the product. Artisans like Shoemakers are focusing more on the quality than on the marketing and that’s why they can offer their products at competitive prices. That’s why I will choose such products over mass market ones, any day of the year. 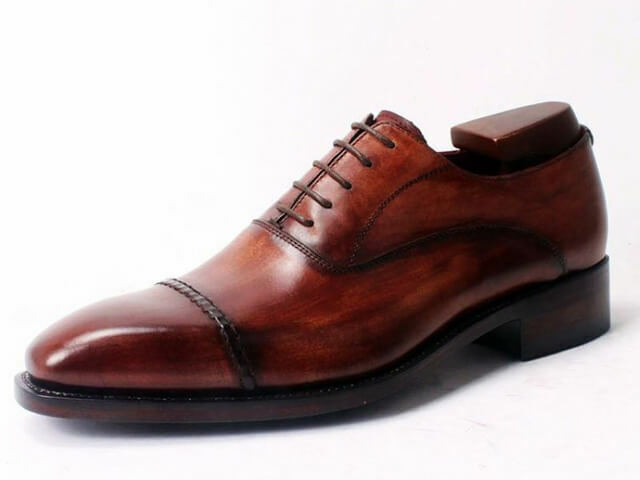 10 Comments on "Shoemakers – Custom Made Shoes at a Reasonable Price"
I have an fantastic website for you to visit if you are interested in handmade/bespoke shoes online. Check out https://wootten.com.au/ great website ,great video on Mr Wootten’s process in shoemaking and lots of shoe photos to see in different colors choices and different views of shoe style.As well as mens and ladies shoes he also makes leather bags, belts, aprons. A real Cordwainer or leather craftsman. Great to see that bespoke artisans are having a revival. I will take a deeper look at the site. Thank you for sharing. I have a charcot foot, size 14 9E width, and am looking for a sneaker or good walking shoe that will fit. The Mt. Ermy shoes seem to be the only shoe I can find in that size, but the styles leave something to be desired. Do you have anything? I am quite astonished by this post I am reading. In the best hypothesis it says you have no idea about bespoke shoes nor about handcrafted shoes in general. But I could add, a normal common sense is missing too. In the worst, you are just sponsoring these people. I would not go into technical details, but please make your math… the website claims to make a pare of handcrafted shoes you need over 200 different operations and more than 30 hours.. this is true! well, let’s say you are fast and not so accurate, 30 hours should be ok. This first sentence tells us they do it really handmade. Now, since we are talking about hand made Goodyear sewed shoes here, it implies a single master works on a pair of shoes. What in turn allow a single master to produce at the most 100 pair of shoes per year, given he works at no brake. At the average price I could buy a Goodyear pair of shoes on their site, the master would make 28’800 $ per year. With this money he has to pay the material (BTW, good leather and material to produce a good lasting pair of shoes would cost about 100 $ in US), his quote of communication, distribution and delivery service, the samples produced already, energy, water, consumables for production.. and with what it is left he has to pay the taxes (if any) and then live out of it. On top of this, we said it can produce only 100 pair per year.. so the quantity is super limited.. You can clearly understand it is not possible! So the possible true is this company has a set of workers (so not shoemakers) that do work day&night for less than a nickle, that have no idea of what is to make a shoe at all.. they just mechanically repeat an action and the Goodyear sewing is probably not handmade, but machine achieved. Dear all, there is a very simple reason bespoke shoes are so expensive: it really takes 40 hours to make those shoes, at least. Plus, the material do cost what I told you at its minimum. So please, make your math and calculate your hourly wage before taxes, multiply by 40 and add 100 $ and tell me how much would cost to you to do such a pair of shoes, given you would know how.. I bet very few of you would come out with something less than 700 $.. so anything lower than that is just a fake. If you would not work for less than 14 $ an hour, why should a shoemaker master? You are trying to quantify your fault finding which tells me quality of this type is way out of your league. Shut up and go to Wal-Mart. Marco, you are completely right! I expected him to say the shoes cost between $900 – $1900. No way this is accurate. I’m very happy with the quality of the shoes. Size fits! Very comfortable! Andy. I have been looking at the handmadebrogues website for some time. Are you still pleased with the quality of your shoe? The shoes are probably made in China, or India. There is no way that you can make shoes similar to what is posted on the website for that low of a price other than in those slave labour camps. I am sorry, but it is true. 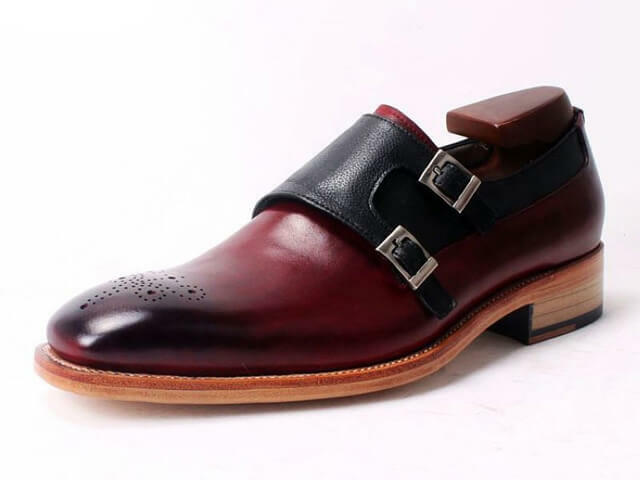 Hi there,I’m looking for a shoemaker who can manufacture my own shoe designs at a reasonable price.